I know of very few people who have had a seamless professional career. Many people take time off to take care of their children and others take time off of work to further their education or to care for an ailing parent. At times, we are laid off and it takes us months to get back on the bandwagon again. 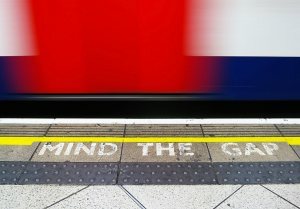 Much can be said about the fact that many an HR department finds employment gaps undesirable, mostly because it forces one to worry about what the gap was filled with. Understand for a second that HR deals with many people who start a position, only to leave on an extended medical leave of absence six months later. I’ve had this happen, only to be informed by a co-worker that the employee had been using the time off to find and secure another position at a nearby hospital (which she did). Needless to say, after handing off the information to the powers that be, she was terminated, and a judgment was entered against her for the full amount of her paid medical leave. Gaps make us nervous. But, I digress. Back to gaps in employment. There are many ways to go about this, all of which are perfectly legitimate. If the gap was only a few months long and was due to a layoff, then you can omit the months of employment and simply leave the years of employment. So, if you worked at ACME from May 2003 to June 2004 and then were laid off and didn’t find work until January of 2005, then enter 2005-2004 for ACME and 2005-Present for the new position. Also, take a look at what work you’ve done and omit any work experience that isn’t pertinent to the position you’re applying for. If you’re looking for a managerial job you don’t need to mention that you worked in retail for four months ten years ago. Keep the information on your resume relevant. This should omit some gaps as well, and when asked simply explain that you didn’t disclose any employment that wasn’t relevant. Plain and simple. The key to explaining employment gaps during an interview is making sure that you are completely upfront and honest if you are asked about them. If you were laid off, explain that you were a part of a layoff due to economic circumstances (or whatever the case may be) and that you spent the next few months taking training or a course at night while you sought gainful employment. You want to portray the fact that you used this experience for something positive: to advance your career, to learn something new, or to pursue an interest. I know of many people in a variety of fields who manage to find piecework or consult and freelance after being laid off to get the bills paid. This is definitely a legitimate reason for an employment gap and should be communicated to the hiring manager if asked. There is something to be said for a person who capitalizes on an opportunity and doesn’t let a defeat (like a termination) consume them. I don’t know about you, but that is the kind of person that I would want working for me.